Look irresistible at that party with Lash Extensions! Want to add volume or length to your eyelashes? At THREAD we offer high-quality lash extensions designed to last for a few days up to one week. Special Occasion Lashes are applied individually and come in short and medium lengths. Our stylists can enhance your natural lashes or create a thicker, more dramatic look. Either way, we add a few extra so your lashes look great all week long. THREAD offers an extended-wear adhesive to give your lashes an extra week or two of life, for just $10. When you’re ready, stop by and we’ll remove them for free. To take off regular lash extensions, use an adhesive remover from your local drug store (sold near the fake eyelashes). 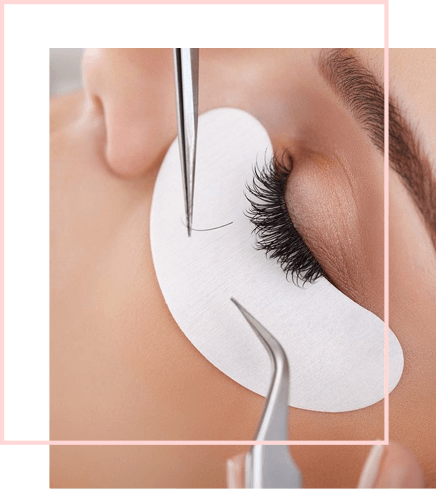 It’s not recommended to wear Special Occasion Lashes for longer than two weeks without the extended-wear adhesive, which we don’t recommended for very sensitive skin. Special Occasion Lashes are done by appointment at our Nassau Street and Astor Place locations. If you’re going to a special event, we recommend getting lash extensions on the same day. Make sure to get a THREAD loyalty card! After 6 services, you receive a free eyebrow threading. You can reuest your favorite esthetician any time you come in-her name will be written on your loyalty card. The first THREAD location opened its doors in 2005, establishing our reputation for clean and sleekly designed salons staffed by meticulous aestheticians. Nestled in the heart of Murray Hill next door to the famed 2nd Ave Deli, this location offers unisex services that include threading, waxing, facials and henna tattoos by appointment. Don’t forget to pick up a Thread customer loyalty card and bring it with you every time you come to one of our salons. It’s good for any service. On your 7th visit you get your eyebrows threaded or waxed for free. Located in the heart of the East Village, Thread’s Astor Place salon is convenient to NYU and Union Square, and offers unisex threading and waxing services. Stop in on your way to campus, before you hit Trader Joe’s or take in a movie at the Village 7. For facials, tattoos or eyelash extensions, visit our Nassau Street and 33rd Street salons. bring it with you every time you come to one of our salons. The next time you’re in Lower Manhattan, stop by THREAD on Nassau Street. Open since 2007, our salon in the Financial District is just a few minutes’ walk from City Hall, Wall Street, Pace University and the South Street Seaport. In addition to unisex threading, waxing, and facial services, we also offer henna tattoos and eyelash extensions by appointment.